Our Pro Whirlaway housing replaces your Whirlaway Spacer and Shift Box when running a clutch or transmission for a clean look while using standard whirlaway gears. 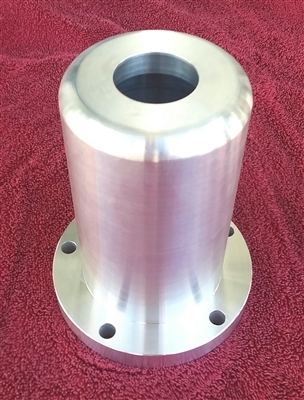 Made from beautifully machined 6061-T6 aluminum that is approximately 5 3/4" long. Fits a standard 6 bolt pattern v-drive.